Have you ever wished you could dunk? Of course you have. Who wouldn’t like to throw down a dunk during a pick up game or an actual game? If you search for answers though, you’ll see all kinds of opinions on how to increase your vertical. Here we’ve compiled the most effective things you can do to increase your vertical jump according to research. First, let’s start off with technique. Swinging your arms while taking off has been shown to increase your vertical jump by 10% (compared to not swinging your arms). Another study found that the added benefit was 28%. This is probably obvious, but bending your knees before taking off increases your vertical jump by an average of 12% (compared to not bending your knees). The more you weigh, the more force you’ll need to generate to jump the same height. One study followed wrestlers and judo athletes who lost an average of 5 kg. (11 lbs.) over 3 weeks. Their verticals improved by between 6% and 8% over that time period. So, be sure to add in some cardio and eat well. Another study demonstrated that kettlebells could be an adequate replacement for barbells and dumbbells. It had participants train twice a week for 6 weeks with either kettlebells (kettlebell swings, accelerated swings and goblet squats) or weightlifting (high pulls, power cleans and back squats). Both groups improved their verticals, but there was a non significant difference between the groups. One specific exercise that has been shown to increase verticals is the squat. One study showed that participants who did a squat program for 10 weeks increased their vertical jump by 8%. Another study found a non-significant difference in a 7 week program of deep squats, parallel squats, or loaded squat jumps. So, the type of squat doesn’t seem to matter as much as you might think. Another specific exercise is the deadlift. One study found that participants who did barbell deadlifts twice a week for 10 weeks increased their vertical by 7.4%. Power cleans are another effective exercise. One study found that as a participant’s power clean maximum increased, so did their vertical jump. Those who increased their power clean by 0- 20 lbs. increased their verticals by 3.66 cm. An increase of between 20 to 45 lbs. led to a 3.89 cm vertical increase. A power clean increase of between 45 and 60 lbs. led to a 6.5 cm. vertical increase. Finally, those who increased their power clean by more than 60 lbs. increased their vertical by 9.5 cm. Maybe not surprisingly plyometric training (or jump training) has been shown to increase verticals. A meta analysis that looked at 26 studies found that plyometric training increases vertical jumps by between 4.7% and 8.7%. Another meta analysis found that a higher intensity plyometric training program (at least 50 jumps per session) worked better than lower intensity programs. Specifically, using a combination of jumps like squat jumps, drop jumps and countermovement jumps was most effective. Yet another study found that a 7 week plyometric training program increased verticals by 3.81 centimeters, a squat program increased verticals by 3.30 centimeters, but plyometric and squat training increased verticals by 10.67 centimeters. So plyometrics is definitely something you should consider adding to your weight lifting. Post Activation Potentiation is when you follow strength training with an explosive movement. So you might do 5 back squat reps then do squat jumps afterwards. One study found that participants who did a single back squat (at a weight that was 80% as much as they could possibly do) and who held a half squat for 6 seconds improved their vertical jump by 10%. But, the effect dissipated after about 12 minutes. Looking more long-term, another study found that using plyometrics and strength training in the same training session was effective, but the exercise order didn’t matter. One study found that static stretching of the hamstring significantly improved vertical jumps. Stretching the hip flexors, dorsiflexors and plantarflexors also had a positive impact, but the effect was much smaller. Another study, though, found that dynamic stretching is more effective than static stretching in improving verticals jumps. In summary, improving your vertical involves proper technique, a combination of weight lifting and plyometrics along with cardio and a proper diet to aid with weight loss. Probably most importantly, you need patience. The results won’t come overnight. If nothing else, hopefully this will encourage you to not skip leg day. Adams, Kent, et al. “The Effect of Six Weeks of Squat, Plyometric and Squat-Plyometric Training on Power Production.” The Journal of Strength & Conditioning Research 6.1 (1992): 36-41. Alemdaroğlu, Utku, et al. “The effect of exercise order incorporating plyometric and resistance training on isokinetic leg strength and vertical jump performance: A comparative study.” Isokinetics and Exercise Science 21.3 (2013): 211-217. Allen Hedrick, 2nd Lt, and Jason C. Anderson. “The Vertical Jump: A Review of the Literature and a Team Case Study.” Strength & Conditioning Journal 18.1 (1996): 7-12. Channell, Brian T., and J. P. Barfield. “Effect of Olympic and traditional resistance training on vertical jump improvement in high school boys.” The Journal of Strength & Conditioning Research 22.5 (2008): 1522-1527.
de Villarreal, Eduardo Saéz-Saez, et al. “Determining variables of plyometric training for improving vertical jump height performance: a meta-analysis.” The Journal of Strength & Conditioning Research 23.2 (2009): 495-506.
de Villarreal, Eduardo Sáez Sáez, Mikel Izquierdo, and Juan J. Gonzalez-Badillo. “Enhancing jump performance after combined vs. maximal power, heavy-resistance, and plyometric training alone.” The Journal of Strength & Conditioning Research 25.12 (2011): 3274-3281. Fogelholm, G. MIKAEL, et al. “Gradual and rapid weight loss: effects on nutrition and performance in male athletes.” Medicine and science in sports and exercise 25.3 (1993): 371-377. Harman, Everett A., et al. The effects of arms and countermovement on vertical jumping. ARMY RESEARCH INST OF ENVIRONMENTAL MEDICINE NATICK MA, 1989. Hartmann, Hagen, et al. “Influence of squatting depth on jumping performance.”The Journal of Strength & Conditioning Research 26.12 (2012): 3243-3261. Hirayama, Kuniaki. “Acute Effects of an Ascending Intensity Squat Protocol on Vertical Jump Performance.” The Journal of Strength & Conditioning Research28.5 (2014): 1284-1288. Hoffman, Jay R., et al. 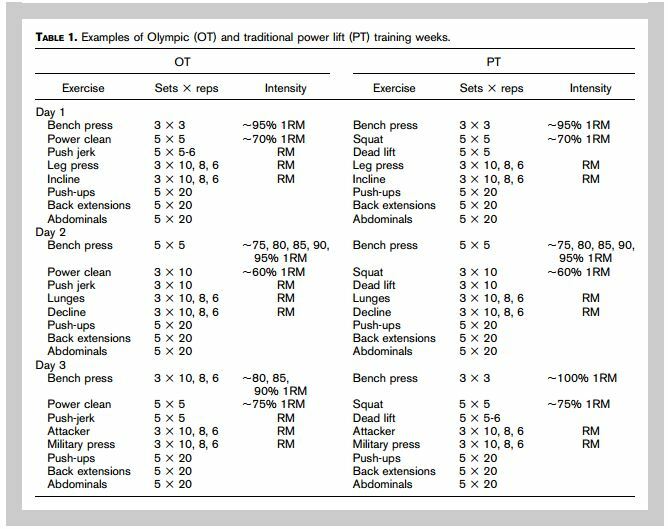 “Comparison of Olympic vs. traditional power lifting training programs in football players.” The Journal of Strength & Conditioning Research 18.1 (2004): 129-135. Hough, Paul A., Emma Z. Ross, and Glyn Howatson. “Effects of dynamic and static stretching on vertical jump performance and electromyographic activity.”The Journal of Strength & Conditioning Research 23.2 (2009): 507-512. Lees, Adrian, Jos Vanrenterghem, and Dirk De Clercq. “Understanding how an arm swing enhances performance in the vertical jump.” Journal of biomechanics 37.12 (2004): 1929-1940. Markovic, Goran. 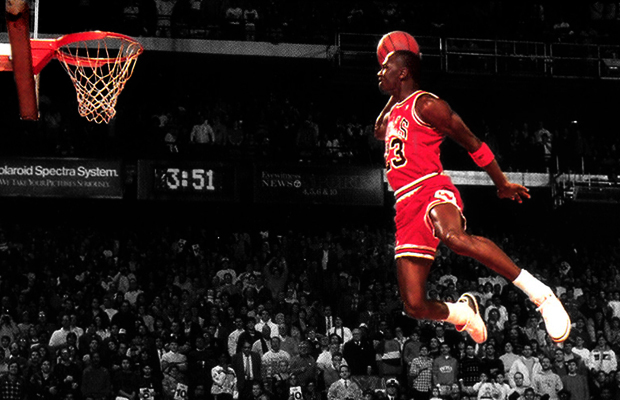 “Does plyometric training improve vertical jump height? A meta-analytical review.” British journal of sports medicine 41.6 (2007): 349-355. Otto III, William H., et al. “Effects of weightlifting vs. kettlebell training on vertical jump, strength, and body composition.” The Journal of Strength & Conditioning Research 26.5 (2012): 1199-1202. Sandberg, John B., et al. “Acute effects of antagonist stretching on jump height, torque, and electromyography of agonist musculature.” The Journal of Strength & Conditioning Research 26.5 (2012): 1249-1256. Thompson, Brennan J., et al. “Barbell deadlift training increases the rate of torque development and vertical jump performance in novices.” The Journal of Strength & Conditioning Research 29.1 (2015): 1-10. How Much Should You Rest Between Sets?